This is an introductory chapter to the second part of the manuscript. 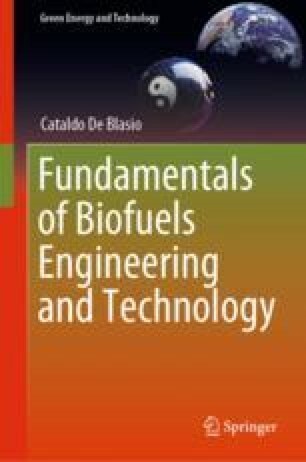 The author describes here the importance and convenience of using liquid fuels and introduces the reader to the concept of biorefinery with particular focus on the Finnish pulp and paper industry. There is here mentioned of biodiesel production with reference to some industrial examples. The most terrible of misfortunes, the death, means nothing for us. Since when we are living, there is no death and when the death is there, we don’t exist anymore. Epicurus, Letter to Menoeceus, Third century B.C. Statista. (2018a). Forecast: Global undernourished population 1990–2030, by region | Statistic [WWW Document]. Statista. https://www.statista.com/statistics/678742/underunourished-population-worldwide-by-region/. Accessed December 31, 2018. Statista. (2018b). World—Total population 2007–2017 | Statistic [WWW Document]. Statista. https://www.statista.com/statistics/805044/total-population-worldwide/. Accessed December 31, 2018.